London Boroughs only have limited powers to reduce carbon emissions or to improve air quality, despite having obligations to monitor and report on them. For an overview of ‘What is London Doing’ click here and for ‘What is happening under the Mayor’s control’ click here. Borough Air Pollution obligations – the draft London Local Air Quality Management Policy Guidance 2016 (LLAQM.PG (16)) (para 5.01)) covers requirements for London Boroughs to monitor, assess and report on air pollution and detailed rules about reporting on Air Quality Management Areas. The Mayor’s Air Quality Fund round 2 , starting in April 2015 awarded £5million across 28 boroughs. Projects included various initiatives and use of this fund is noted below as ‘MAQF2’. ‘Low Emission Neighbourhoods’ (LENS) were announced by the new Mayor Sadiq Khan in July 2016. It will be set up across eight boroughs to come into full effect by the start of 2019 at a cost of £11m. These will have “pollution-busting measures including strict new penalties for the most polluting vehicles, car-free days, green taxi ranks for zero emission-capable cabs and parking reserved for the cleanest vehicles.” Use of this fund is noted below as ‘LENS’. ‘Mini-Holland’ schemes are part of the Vision for Cycling, where London funds are being used to bring improvements to streets and better facilities for pedestrians. The programme will specifically target people who make short car journeys in outer London that could be cycled easily instead. Each borough will consult locally once designs are developed for implementation by the end of 2018. It was hoped that up to £100m shared between the boroughs will help make them as cycle-friendly as their Dutch equivalents. The vision aims to double cycling by 2020 and encompasses joined up cycle tracks. 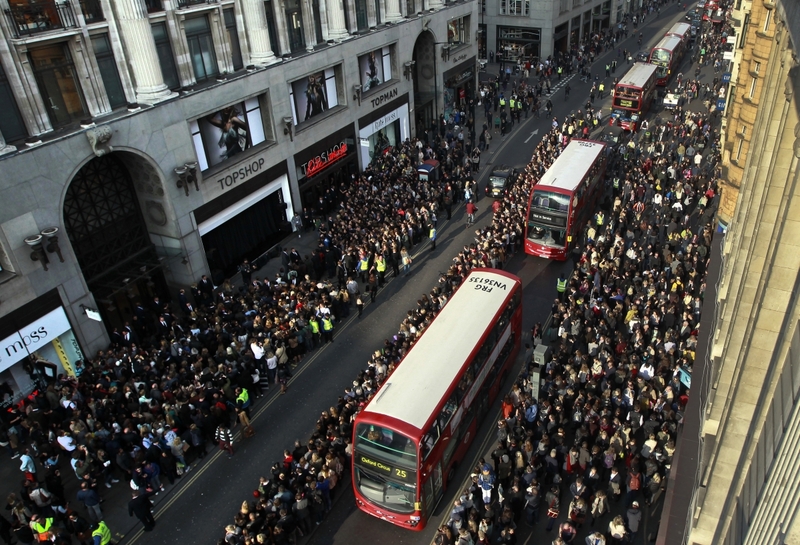 ‘Low Emission Bus Zones’ – From Feb 2017 the worst polluted bus routes will “see exclusive use of hybrid or diesel buses with top-of-the-range anti-pollutant systems that meet or exceed Euro VI emissions standards.” Routes are noted below as ‘LEBZ’. Use of this fund is noted below as ‘DfT scheme’, and it is understood that TfL will scope out the precise use of the funds for the boroughs that applied. LaMiLo (last mile logistics) is part-funded by the European Regional Development Fund (ERDF) as well as the DfT project above. It “aims to create a step change in freight deliveries by fully considering the ‘last mile’ of a supply chain when planning a freight logistics journey.” use of this scheme is noted below as ‘LaMiLo’. The Schools’ Clean Air Zones Project was set up to create ’clean air zones’ around schools that were affected by poor air quality. According to the Department for Environment, Food & Rural Affairs (Defra) there are 1,148 are schools within 150 metres of very busy roads. use of this scheme is noted below as ‘Schools Clean Air‘. At the Borough and Neighbourhood level there are different schemes, essentially trialing ways to reduce carbon and air pollution in London. For instance Camden has just published a Camden Clean Air Action Plan 2016-2018 with a raft of measures within their powers including using parking charges to discourage diesel cars and enforcing anti-idling policies. Below are the main activities underway – showing that some boroughs seem to be actively doing all they can to tackle carbon reduction and air pollution while some don’t appear to be doing much. Note: the acronyms used below such as MAQF, refer to the schemes explained in the green strip boxes above. At the pre election Green Alliance hustings that can be listened to here Sadiq Khan promised support for cycling such as planning for storage, hire, & flyovers for cycles. Soon after the election TfL announced a consultation for a new Cycle Superhighway (route 11) from Swiss Cottage to Portland Place. In ENFIELD, KINGSTON and WALTHAM FOREST TfL seek to “encourage more people to cycle, more safely and more often while providing better streets and places for everyone. 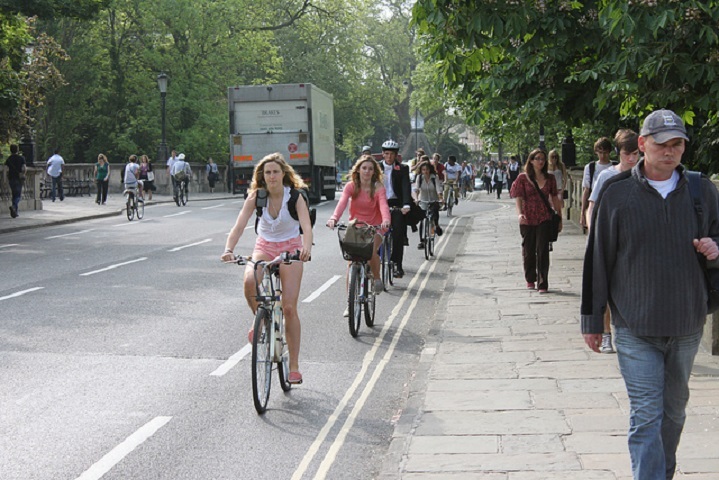 The programme will specifically target people who make short car journeys in outer London that could be cycled easily instead.“ as part of the Mini-Holland programme . LaMiLo (last mile logistics) was an EU project trialling “a step change in freight deliveries by fully considering the ‘last mile’ of a supply chain when planning a freight logistics journey” and completed in Sept 2015. At the pre election Green Alliance hustings that can be listened to here Sadiq Khan promised to support and expand consolidation centres aimed at streamlining deliveries and reducing the use of delivery vehicles. For deliveries of small items the use of ‘cargo bikes’ can speed up delivery, avoid parking fines and congestion charges and again reduce the use of delivery vehicles. Where larger vehicles are needed electric vehicles, such as from Gnewt Cargo can be the clean solution. CAMDEN hosted the LaMiLo project for Council suppliers, working with ENFIELD, WALTHAM FOREST and ISLINGTON councils, and has further funding from the DfT scheme. 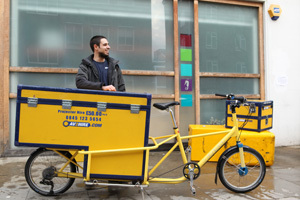 In BRENTFORD there is a free cargo bike hire scheme to promote their use. Similar schemes have also been launched by councils in LAMBETH, CAMDEN, HACKNEY and REDBRIDGE. (photo an 8freight case study of Av2hire delivering. In WALTHAM FOREST a green courier service has been set up providing a same day delivery service using cargo bikes and electric vehicles. MAQF round 2. In WESTMINSTER – the Marylebone Low Emission Neighbourhood includes an electric vehicle delivery scheme in conjunction with UPS consolidating freight delivery to cut down on vehicles on the road. LENS scheme. 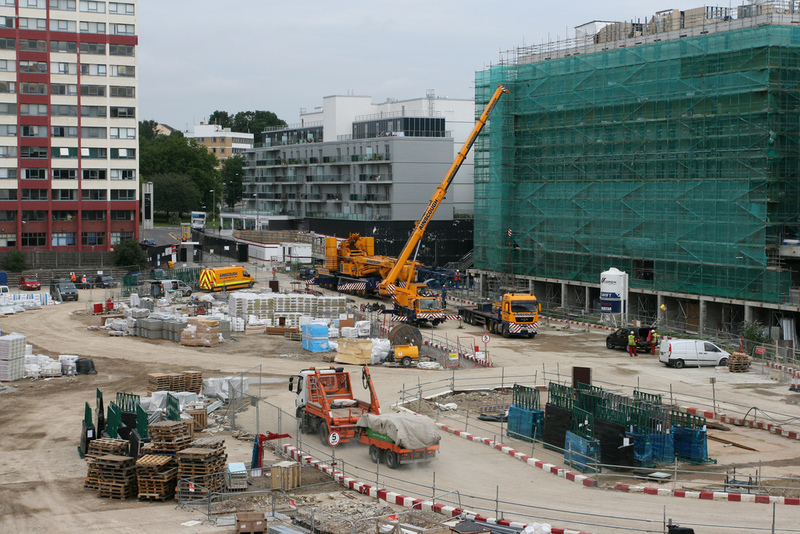 CROYDON AND SUTTON are planning to introduce a freight consolidation centre and to test ‘virtual parking’ and RICHMOND intends to introduce neighbourhood delivery and servicing. DfT scheme. HEATHROW AIRPORT is planning a ‘proof of concept’ pilot to trial electric HGVs. DfT scheme. At the pre election Green Alliance hustings that can be listened to here Sadiq Khan promised to pedestrianize Oxford St (300 buses per hour at present), require bike spaces for hospitals, extend “walking to school” routes, TfL “walking champions”, have more Green Corridors, expand King’s Cross type areas and support more quiet ways. In Aug 2016 the LEBZ scheme was announced. PUTNEY High Street, from Feb 2017, will only have hybrid or diesel buses with top-of-the-range anti-pollutant systems that meet or exceed Euro VI emissions standards. The second route – between Brixton and Streatham – will be converted in October 2017. LEBZ scheme. In HACKNEY there is an ‘electric streets’ trial to adapt highway infrastructure to cater primarily for electric vehicles. DfT scheme. HILLINGDON (Botwell primary), CAMDEN (awareness raising at Argyle school), KENSINGTON and CHELSEA (Oxford Gardens and St Cuthbert with St Matthias Primary) and CITY OF LONDON Corporation ( Sir John Cass) were awarded funds from the Schools clean air zones. Relying on Taxis instead of personal vehicles does reduce air pollution and carbon emissions, but more so when the Taxis are electric or Hybrid. 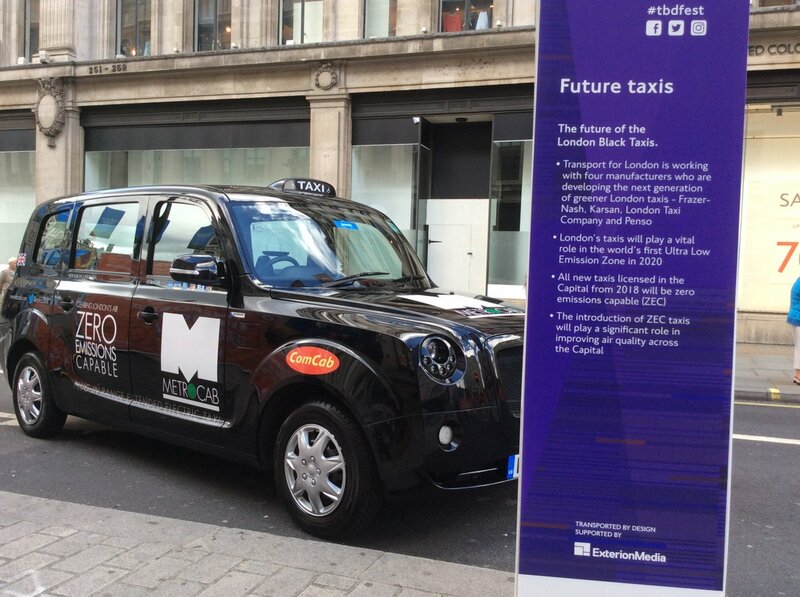 As well as TfL’s subsidy towards its “target of putting 9,000 zero emissions capable taxis on the capital’s streets by 2020” there are schemes to manage the effects of ‘legacy’ taxis. 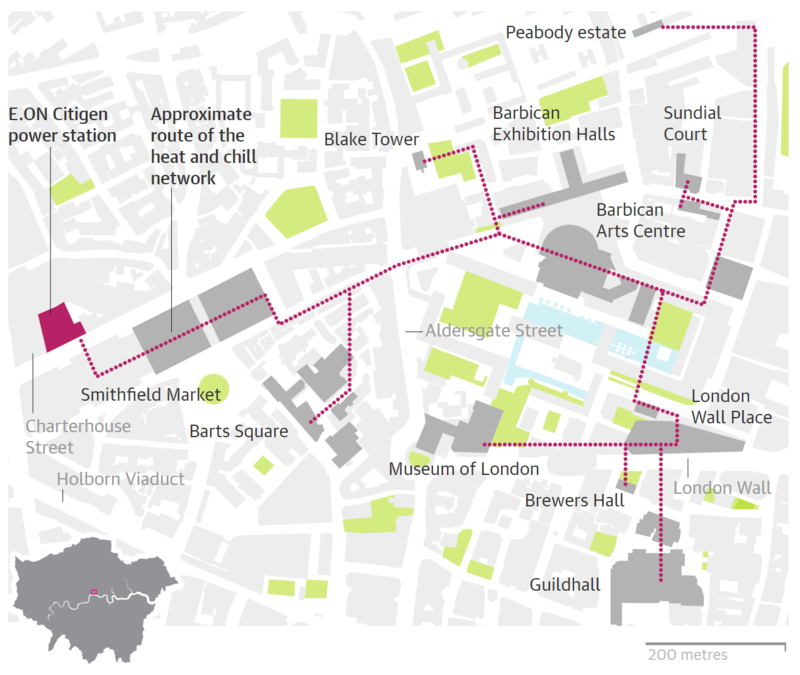 In the CITY OF LONDON – the Barbican Low Emission Neighbourhood proposal includes restricted access to certain streets for all but the cleanest vehicles and green taxi ranks. LENS scheme. smog warnings to protect people and reduce traffic when air pollution is at its worst. For Private Hire vehicles Uber, in partnership with Nissan and China’s BYD, will offer leasing options for fully-electric cars (BYD E6s and Nissan Leafs) to its drivers, according to Tech Crunch in Aug 2016. These will be in addition to the Toyota Hyrid Prius cars in use by Uber drivers. 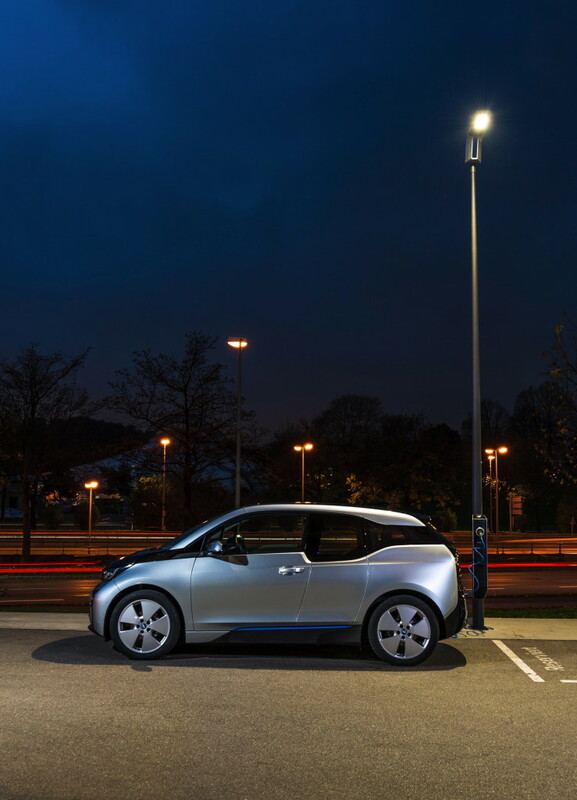 The Ultra Low Emission Capital Go Ultra Low City Scheme Bid to Department of Transport (DfT) predicted that London would have 70,000 Ultra Low Electric Vehicles sold by 2020 and almost quarter of a million by 2025. During the election campaign Sadiq Khan said that he would “Deliver the electric charging infrastructure, in partnership with the private sector, necessary for a major expansion in the use of electric vehicles” in A Greener Cleaner London. Sadiq also supported “Car Clubs as a means of reducing congestion and demand for parking in A Modern and Affordable Transport Network. In the CITY OF LONDON there was an announcement in Aug 2016 that it will end the use of diesel vehicles across its operations (300 vehicles). In GREENWICH – the Town Centre and Trafalgar Road Low Emissions Neighbourhood proposal includes an extensive series of mini parks throughout the area. LENS scheme. Prior to being elected Sadiq Khan promised to plant 2million trees, focused on schools, but since then the plans have changed to 5% by 2020 (ie 440,000 trees). Non-Road mobile machinery (NRMM) is governed by the Department for Transport. For Non-Road mobile machinery (NRMM) used for construction EU directive 97/68/EC will require all NRMM used on any site within Greater London from Sept 2020 to meet Stage III of the directive as a minimum. NRMM used on any site within the Central Activity Zone or Canary Wharf will be required to meet Stage IV of the directive as a minimum. Read More. Each Local Authority will use this guidance but interpret the need for new buildings to be low carbon, low pollution differently. The Plan directs the Boroughs, for instance Ch 5.2 is ‘Minimising carbon dioxide emissions From Oct 2016 all ‘major developments’ (eg above 10 dwellings) will have to achieve 100% less carbon than required by national building regulations, or pay into a Borough Carbon Offsetting Fund for measures such as solar panels. However it is only through co-operation and compliance from the Boroughs that the aims can be achieved. Between 2012 and 2016 £839m was allocated across the boroughs for ‘Decent Homes’ for their estates – including measures to reduce carbon emissions and indoor air pollution. 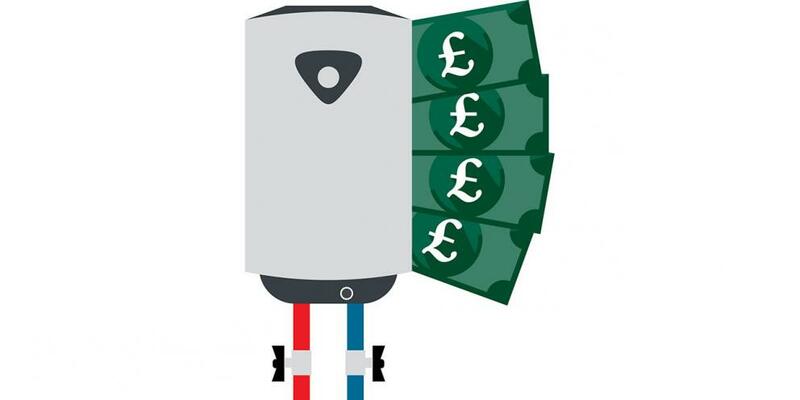 In Feb 2016 the Mayor announced a Boiler Scrappage scheme of £400 to replace old and inefficient boilers. The Mayor’s Consultation on London Air Quality suggested setting up a new boiler scrappage scheme. In Dec 2016 the Mayor announced a £1m Better Boiler Scheme to replace 500 boilers belonging to home owners in receipt of benefits. In ISLINGTON – electricity has been generated at the Bunhill Row Energy Centre since 2012, from Gas (and also provides communal heating -see below). Photo of ‘ fatberg‘ being cleared from the sewers. Commercial companies such as Thames Water have pioneered innovative renewable energy systems. In NEWHAM – the Becton Sewage Works in Newham will use ‘fatbergs’ from Thames Water sewers from late 2016 to generate renewable power for Thames Water and also renewable heat for National Grid Gas, using 20C technology. 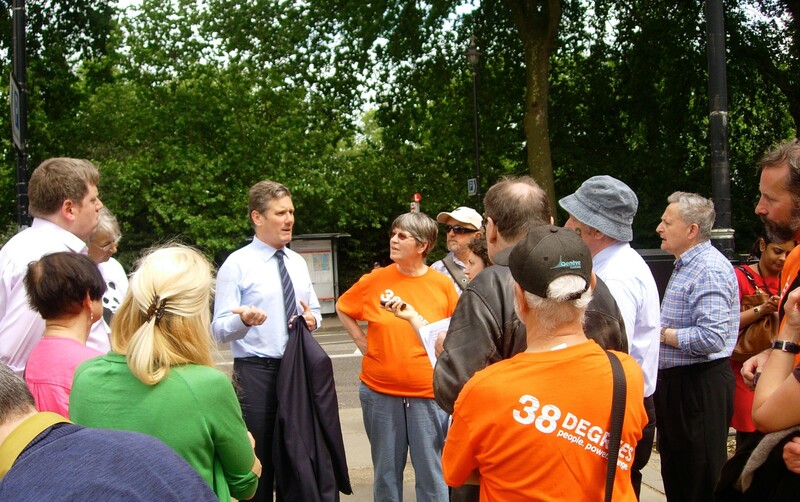 Voluntary Groups such as Repowering London have demonstrated that local communities have the enthusiasm and the capital to invest in renewable energy. Repowering London is only one of many London Community Energy Groups who have installed solar panels, but depend on the government Feed In Tariff return for viability. Switched On London is actively lobbying the Mayor to create the Energy for Londoners programme/company with the scope to introduce Municipal Energy (eg London) to tackle Fuel Poverty, Emissions and Climate Change, boost local economies and build energy democracy. 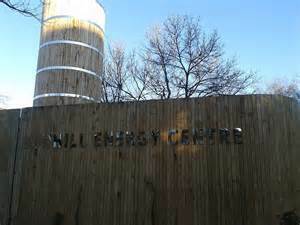 One initiative that the Mayor is able to influence is through TfL that will be providing heat from the Northern Line tube to extend the local communal heat network at Phase 2 of Islington’s Bunhill Row Energy Centre early in 2017. Another non LA initiative is the Becton Sewage heat that will be provided to the National Grid Gas late in 2016. The article says that this site will now manage the 60 E.ON UK district heating systems. The refurbishment cost £26m, but the cost effectiveness of district heating as a UK carbon reduction mechanism is not discussed. It does say that the government is funding heat networks with £320m over five years and the summary of the scheme explains that half of the domestic residents for that pilot will see bill reductions against the ‘counterfactual heat source’. Paris or Bust – Can a new Climate deal be agreed this year? OH YES! Carbon Brief lays out the timetable for preparations, with an update on the draft text following the final meeting of negotiators before the December convention. Jeremy Leggett will publish the final chapter of his diary “The Winning of the Carbon Wars” on 3rd November. The story so far from May 2013 puts context around the jostling and lobbying to get (or to scupper) global agreements at the Conference of the Parties in Paris . In Prospects for the Paris climate summit. Stephen Tindale confirms that financial contributions for paying for effects of climate change are a major sticking point to reaching an agreement. He also notes that the UK’s own energy policy is in chaos. 350.org day of mobilisation and action in Paris on December 12th – following the COP21 convention. “As the summit wraps up in Paris, the climate movement is already planning to have the last word. On December 12th, join us in Paris for a big, bold, and beautiful day of mobilisation and action to show that the climate movement is ready to lead the way. 2015 is on track to be the hottest year in recorded history, and this December hundreds of world governments will meet in Paris to try to strike a global climate agreement. 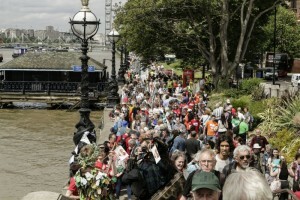 It will be the biggest gathering of its kind since 2009, and it’s a big moment for the global climate movement. So far, however, commitments from world governments just aren’t adding up. This has the makings of a global failure of ambition — and at a moment when renewable energy is becoming a revolutionary economic force that could power a just transition away from fossil fuels. On the other hand, this could be a turning point — a shift in power away from the industries causing the climate crisis and toward people fighting for climate justice. But only if we push for it. Can there be a deal? Yes – all parties want it. Will there be a deal? This is about 60% probable. Prof. Michael Jacobs, visiting professor at UCL and LSE and an expert on climate and energy policy, gave a talk on this vital topic on Monday 13 July, at a meeting organized by the Muswell Hill Sustainability Group. Prof. Jacobs is at present advising the French Government on preparations for the Climate Change summit in Paris later this year. Can a new climate deal be agreed this year? What is the shape of the emerging deal? Why there are good reasons to believe a deal is possible. What are the likely features and obstacles. If we continue to send CO2 into our atmosphere reaching a concentration of 450ppm CO2 eq there is just a 50% chance that global warming can be kept to 2°C and therefore only a chance that the consequences shown below will be less severe. source: the International Energy Authority’s Redrawing the Energy Climate Map – World Energy Outlook Special (p13). 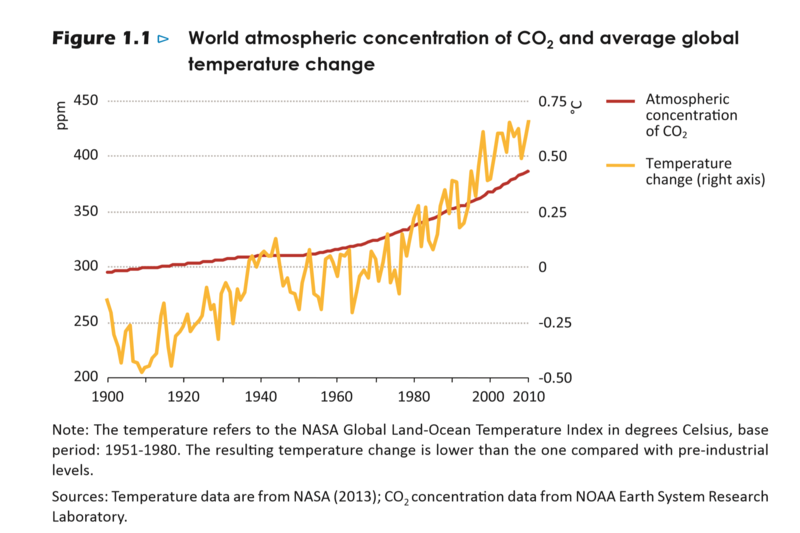 The Scientific consensus is that exceeding 2°C is probably catastrophic, not that 2°C is safe. The 50% chance of warming by 2°C is the same as flipping a coin. Though bookies would take bets from punters willing to lose on these odds, the insurance industry wouldn’t insure on this basis. Would we risk anything else we hold precious at 2-1 odds? The Montreal Protocol was set up by the UN to phase out chlorofluorocarbons (CFCs) that were used as refrigerants but caused a hole in the ozone layer. Carbon Brief explains that HFCs took the place of CFCs but now have to be replaced in turn. HFC’s are now used in solvents, fire retardants, aerosols, foam agents, air conditioning and refrigeration in ever increasing volumes as developing countries strive to improve their standard of living. On 14th Oct 2016, in Kigali Rwanda an extension to the Montreal Agreement was approved globally to phase out HFCs – by 2019, 2024 and 2028 depending on the development status of the country. 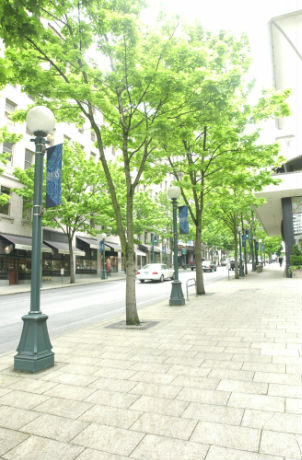 Alternatives, reported by Carbon Brief include natural refrigerants, such as hydrocarbons, ammonia and carbon dioxide, different HFCs that trap much less heat over their lifespan and another group of chemicals available called “unsaturated HFCs”, or HFOs, which are less potent greenhouse gases than the current mix of HFCs. Although the pledges submitted up to December 2015 were not sufficient to achieve this the aspiration is that the revised submissions starting from April 2016 will be improving over time to ensure that the 2°C can be avoided. Where did the 2°C come from? In The Climate Casino, William Nordhaus, an economist at Yale, likened our approach to Climate Change to gambling at roulette. The odds of a catastrophic outcome are higher for instance if the Antarctic ice sheet collapses or acidification destroys oceans – but strangely there are risk averse people who want us to take this gamble. Nordhaus proposed the 2-degree threshold in a 1977 paper Economic Growth and Climate: The Carbon Dioxide Problem. and 2°C has been taken up as a symbolic target internationally. See Sceptical Science for global temperatures up to Sept 2015. The report looks at many scenarios, with the baseline where we take no action and continue at current emission levels. “565 gigatons: “Scientists estimate that humans can pour roughly 565 more gigatons of carbon dioxide into the atmosphere by mid-century and still have some reasonable hope of staying below 2C,” is how McKibben crisply puts it. Few dispute that this idea of a global “carbon budget” is broadly right. Although Coal, for instance, emits 10 times as much CO2 as Onshore Wind governments are still subsidising the use of Coal and energy companies are still investing in the exploration for more fossil fuels. Decc’s The Global Calculator is an open-source model of the world’s energy, land and food systems that allows you to design your own version of the future up to 2050 and see the implications for the climate. 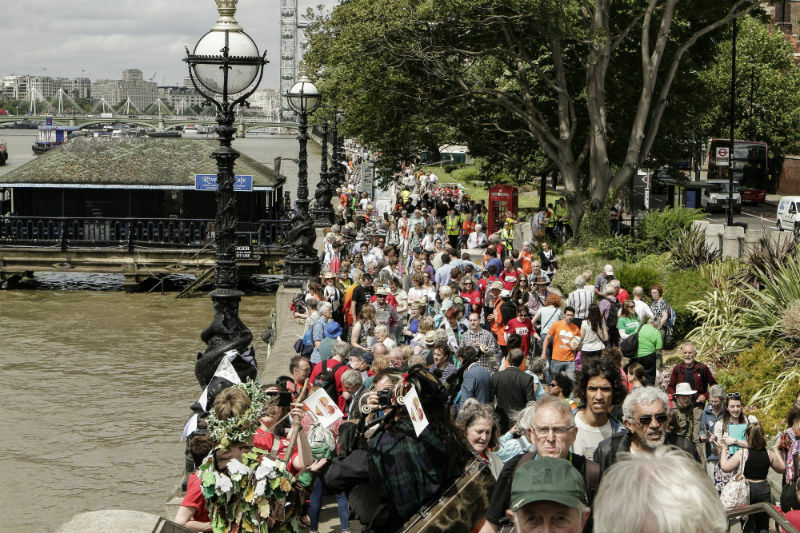 This was the scene, on the embankment opposite the Houses of Parliament, where most London constituents gathered to meet their MPs. Jeremy Corbyn (Islington North), Keir Starmer (Holborn and St Pancras, below left)and Catherine West (Hornsey and Wood Green, below) all turned out to meet large groups, and affirm their commitment to tackle climate change. A noticeable local absentee was Mike Freer (Finchley and Golders Green). He did not reply personally to a letter inviting him to meet, but let it be known through his PA that he would be unavailable to meet constituents at the lobby.